I adore draped clothing. I think it is figure flattering on pretty much anyone, and it just adds an element of elegance to even the most simple designs. 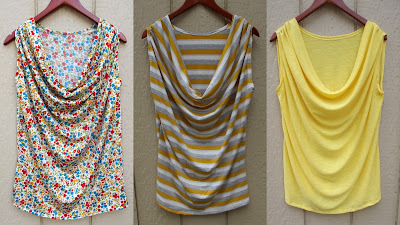 In case you have no idea what I am talking about, here are a few examples of draping. See? It's an absolutely lovely way to add texture and flow to a garment. 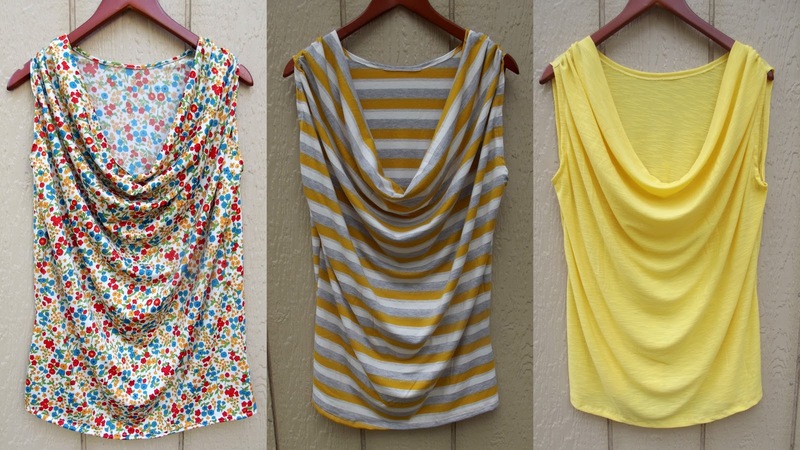 I decided I needed a good draped tank for my summer wardrobe and for my Etsy shop. I've never tried it before, and assumed there would be nothing to it. Of course, since patterns and I are not friends, I started from scratch. Several (ah hum, we won't define the word "several" here for the sake of my pride) shirts later, I perfected my formula for my ideal draped tank. I say "formula" because I see it as exactly that. Once I figured out which measurements controlled what, it was super simple. Draping is just creating extra fabric in a certain area of the garment that flows in a figure flattering way. The trick is how to control that extra fabric, and once you've got that down you are set. I am not going to start from the very beginning on how I draft a shirt without a pattern because I've already shown that here and here. The back piece of this tank is just the basic shape of a regular tank. If numbers aren't your thing, just grab a tank you already have and trace it. There is no need to be complicated, its very simple. The front, obviously, is the tricky part. Here is the concept in another of my awful drawings. Here is the trick, if you just widen the width of your shirt, you will get an unflattering floppy fold at the neck. If you just extend the height of the shirt, you will get a cowl neck. You must have a combination of the two to get a soft drape. 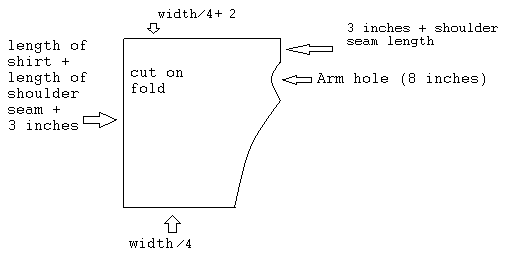 The arm hole is cut on the side of the shirt, with just a tiny amount of curve, rather than a typical cut out arm hole. This is because you actually turn the very top side of the shirt in when you sew it. Let me see if I can make sense of this for you by way of pictures. Here I have cut the shirt on the fold as wide as I need it to be. I measured down 3 inches on the unfolded edge and marked it. This three inches is going to make the extra fabric folds at the top. The more I increase this number, the more dramatic the folds will be. Next, I measured down 3 1/2 inches and marked that. This 3 1/2 inches is my shoulder seam. It is just on the side of the shirt right now, which sort of plays tricks with your mind. It will make sense in a minute. I wanted my arm hole to be 8 inches long so I measured down 8 inches and marked that. In the center of my last two marks, I measure in one inch. This is the arm hole. Now I cut out that just that piece. Next, I drew myself a line from the bottom of the arm hole to the bottom of the shirt, tapering down the size. The bottom of the shirt has to match the size of the back of your shirt. The idea when you sew, is to turn the top of the shirt in so that the shoulder seam is now at the top where it should be. The arm hole should match up with the arm hole on the back of your shirt. I found that it was easiest to hem the neck of the back shirt piece and all the arm holes first, before sewing the back and front together. Don't hem the front neck line, just turn the raw edge in an inch or sew at the shoulder seam line to make it drape inward. As you can see there, I gathered that top edge first, and then sewed it the back. As far as fabric choice goes for this type of shirt, the thinner the fabric is the better. Thin jersey knit, slub knit, or chiffon type materials would be best. Here are three different shirts, made from three different fabric types. The first is made from a Polyester Lycra blend. It is the thickest of the three and doesn't drape nearly as softly as the other two. I love the print and colors, but it just wasn't the best fabric choice for this shirt. The second is made from jersey knit. It drapes quite nicely, but is just a hair thicker than the last version. The last is my favorite. It is made from slub knit, which is very thin. If you use slub knit, it only has a one way stretch so you'll want to make sure that is going width wise when you cut it. I sincerely hope I didn't over complicate this for you. It is quite easy to do and it is a great style to always have on hand. I just know you are dying to know where I got that insanely cute skirt...well, I'm not going to tell you until Friday. No, I didn't make it either. Come back Friday and we'll talk. Those tops are great! I love the draping idea, very creative! Just lovely. Thank you for this great tutorial! Thanks for the explanation, your tops look great! I love draping clothes too. Its so feminine. I'm stopping by from Sew Much Ado linky party. I love it - I saw your top on the Spring Top Sew-Along, and am going to pin your tutorial - thanks for going to the effort of putting it together. What a great post! I recently watched American Idol, and one of the contestants had on an intensely draped dress, very hip accentuated, however the draping looked amazing, and it was quite pretty on her! Love your tutorial! Me too, sorry didn't quite get it but wish I did because I love the look! I love tops like this and will certainly be trying to make one with your tutorial!Thank you! I love a draped top! thanks for linking up to Make it Monday! 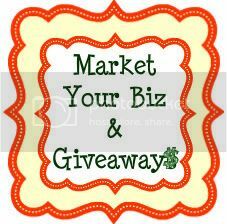 I'll be sharing it on the Brassy Apple FB and twitter pages! I totally love that yellow one! So pretty! That is too cute! Any ideas on how to take a regular t-shirt and turn it into one that drapes? Beautifully done! I actually bought a pattern for this top a few years back and have made at least half a dozen versions. You are right, it is incredibly versatile and flattering. Good job! Thank you for the great tutorial.You make it look so simple. To make a dress with a draped neckline, would I just make it longer? Where did you find the second pic with the black and grey stripes? I love it! Thanks so much for posting this tutorial! This morning I set out to copy a drape neck tank I had purchased, but had no idea how to do it. I would never have done the shoulder seams last without your help. I actually made two of these today! large amount of work? I have very little expertise in programming however I was hoping to start my own blog soon. send you an email. I've got some recommendations for your blog you might be interested in hearing. Either way, great site and I look forward to seeing it improve over time. It's really a nice and useful piece of info. I am happy that you just shared this useful info with us. Please stay us up to date like this. Thanks for sharing. this web page and now this time I am visiting this website and reading very informative content at this place. getting eхpеriеnce all the tіme by гeading suсh nice aгticles or revіews. This is great...do you think I could lengthen it into a dress? Maybe with a little ruching at the hips to bring the drape down with a semi fitted skirt. If I want an Easter dress, I better get my hiney in gear! I do think that you could make it into a dress pretty easily, although I've not tried it. I think it would be a lovely Easter dress! Thanks so much for stopping by! Can anyone tell me what "width/4" means on the diagram? Thanks. I believe that means the size around your middle that you want the shirt to be, divided by 4 (because you'll have a front and a back piece, both cut on the fold) Don't forget to add seam allowance. I've been wondering how to do this! I need to try it! Thanks for the tute! Just made this using your tutorial. Love it. Also traced onto paper so I can make again. Only change I made was to dart near under arm in front to fit my shape better. A little confusing but great info! The only part I can't seem to wrap my brain around is where you gathered it...looking at the finished garment it looks like you gathered your shoulder seem, but going off your measurements, that doesn't sound right, so I assume you gathered that first 3 inches down (the excess fabric that creates the draping folds). I'm about to try it, so I guess I will find out! I'm late to the party here but I also tried these and found this tutorial great, except I didn't understand the part about the gathering. You are gathering the shoulder the seam? Your top is great. I really liked the light gray/dark gray striped top that has fold down the front and pieces that wrap around from the back that was on your board. How did you do that? Hi, I think your blog is terrific, and I do appreciate the time and effort you put into it. Such a gift! I would love to make this top as a dress, only with short, built-in dolman type sleeves instead of sleeveless. The making-it-into-a-dress part is easy. However, although I understand the tutorial as written just fine, when I try to figure out how it would work with the sleeves I want, I start to smell my poor little brain a-fryin' :). I suppose I could to it with attached sleeves, but the fabric I want to do this in is sequined with a slight stretch, so the fewer seams the better. Have you done it with this type of sleeve? Have any tips on how that'd work? Thank you for the tutorial. As an experienced pattern maker of very traditional and 'straight' clothing, how to make drapes look nice has always escaped me. You made it so simple with your pic-by-pic explanations, so now im gonna make me som more free-form clothing! I am really going to try this! Thank you for sharing. Blessings! A retail or a shop is a business that presents a selection of goods and offers to trade or sell them to customers for money or other goods. Get the irresistible charm of casual clothing by finding tank tops with Crazybeta. Chapter37 - Catch the latest from our new blog! shop our new store site! Ever Had a Random Idea?